Sayyiduna Abu Hurairah reported: I heard Allah’s Apostle saying: "By Allah, I seek Allah's forgiveness and repent to Him more than seventy times a day." (Bukhari). Sayyiduna Abu Hurairah narrated: Allah’s Apostle said, "He who repents before the sun rises from the west, Allah will forgive him". (Muslim). 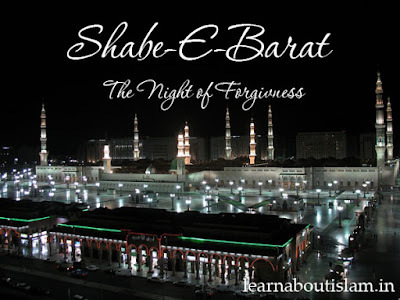 To understand the importance of this night, we first present the importance of the ENTIRE MONTH OF SHA’BAAN, so that readers may understand that this it is indeed a special month, which demands that we increase our worship in any way, during its entire period. Qur’an and training of the self (ego). 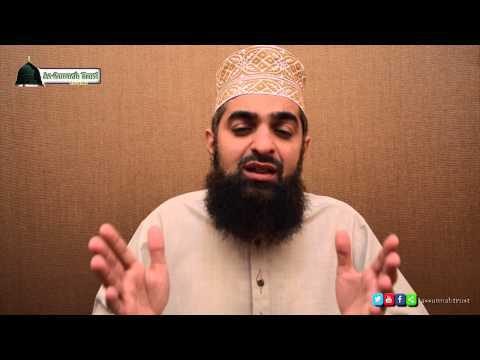 Once the Holy Prophet was asked: "Oh Allah’s Apostle, in which month other than Ramadaan is fasting the most meritorious? 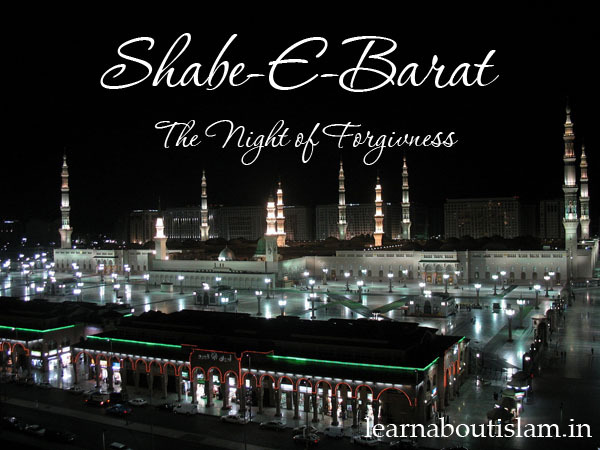 Sha’baan is one of the meritorious months for which of Holy Prophet made special efforts and increased his worship. This fact in itself proves that to increase worship on special occasions or special days of mercy from Allah, is not an innovation, but the Sunnah of the Holy Prophet.
" Do those deeds which you can do easily, as Allah will not get tired (of giving rewards) till you get bored and tired (of performing religious deeds)." The most beloved prayer to the Prophet was the one that was done regularly (throughout the life) even if it were little. And whenever the Prophet offered a prayer he used to offer it regularly. ‘Ā’isha said, "Never did the Messenger of Allāh completed the fasting of a month except for Ramadān. And I have never seen Him in a month fasting more therein except Sh‘abān." Ibn al-Mubārak (ra) says that the Prophet (s) didn’t complete fasting the entire month of Sha‘bān, but that he used to fast most of it as ‘Allāmah al-Imām al-Hāfizh Zayn ad-Dīn bin Rajab al-Hanbalī said in his book, Latā‘if al-Ma‘ārif.